The Amazon website crashed shortly after Prime Day went live, and links to sales and discount pages are currently not working. Prime Day is huge for Amazon fans who like to shop online, but today's sales and discounts won't exactly be easy to browse, as the Amazon website experienced a crash almost immediately after Prime Day went live, and current links to sale item categories are not working as intended. Update: it appears that the Amazon Prime Day sales pages are back up and functioning, though some site features may not be operating quite as intended. Original story follows. 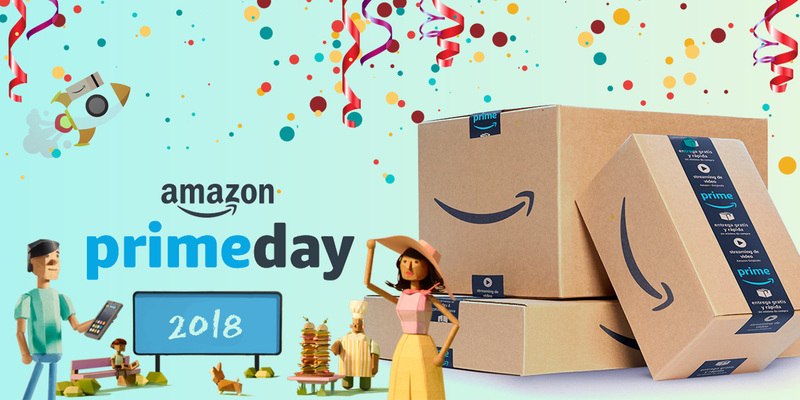 Users dropping by the Amazon website will be automatically directed to the Prime Day homepage, which currently showcases a number of sales across a variety of items. However, the links below the revolving item listing — the ones for categories like toys, electronics, and so on — currently redirect to a page that doesn't list any sales. Clicking on the "Browse All Deals" button drops users back to the main page, effectively disallowing anyone from browsing the sales. To make matters worse, some users can't even see the main Amazon Prime sale page — instead, they're redirected to an error page, typically one that links users to a page about the various dogs of Amazon. As such, even consumers browsing listed links from other websites are unable to see specific item discounts, as the page appears to be removed or otherwise inaccessible. We know just how big Prime Day can be for Amazon shoppers, so we'll be sure to keep our eye on the current Amazon website status, and will report back when the website is no longer down or stuck in a link loop. Until then, so long as Amazon is still down, users can always browse some of the flash sale discounts being offered at Target for a limited time. Update 1:12 p.m. PT: the links to product categories and "all deals" on Amazon have been pulled down from the landing page. As such, all of the Prime Deal listings on the main page are gone until Amazon can sort out a fix for the crash. Update 1:20 p.m. PT: though the main Amazon Prime Day landing page is still being worked on, users can now browse all Amazon Prime day listings by clicking on the animated box near the top of the page or by following this link to the Amazon Prime Day sales listings. Update 1:26 p.m. PT: it appears that Amazon has finally fixed the crash that kept Prime Day discount web pages down, as the primary landing page now reflects Prime Day sales categories, and all links seem to be functioning as intended. Update 2:02 p.m. PT: some users are still reporting issues with various parts of the Amazon webpage, including being unable to access their shopping cart and a search bar that doesn't appear to accept any search queries. Amazon is surely still looking into the issue.